Without tons of experience. And without being aggressive or pushy. Just updated – over 120 pages loaded with tips, “no selling” dialogs, advanced techniques, and real life examples. 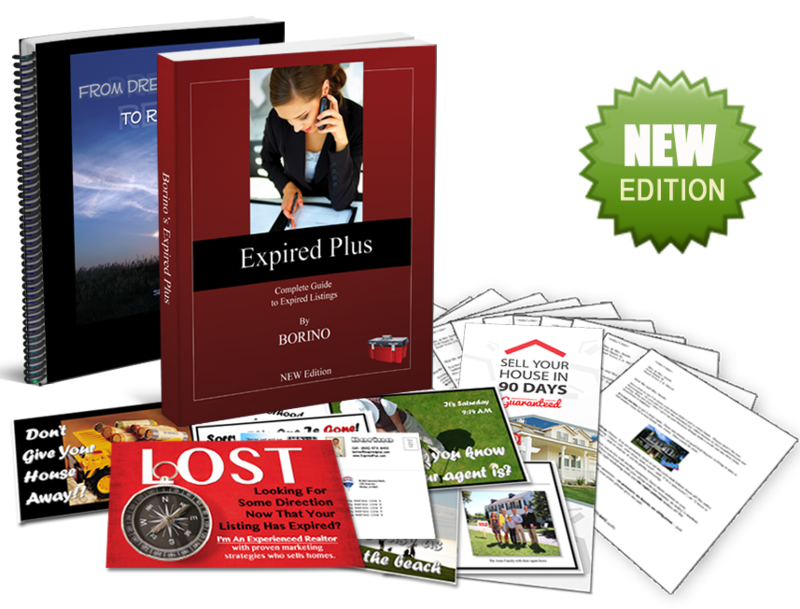 You will learn how to research expired listings, where to find the seller phone numbers, and how to contact the hottest expired leads. You will use advanced tactics to beat your competition and get a chance to list properties before anybody else. I will walk you through the entire process, step-by- step. I'll explain every script, share with you every insight, show you advanced tricks, and boost your confidence so you can turn more expireds into leads and listings quickly. You will get a complete marketing library to mail. Special letters written specifically to make YOU stand out. 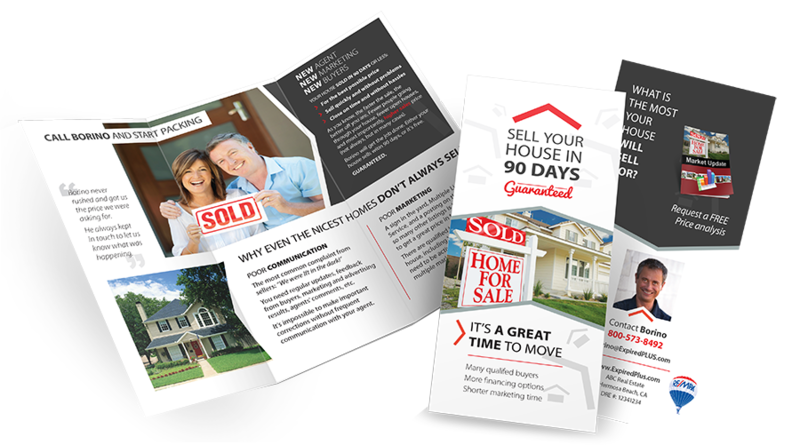 Each letter addresses sellers' concerns, eliminates frequent objections, and piques their interest. Just copy, paste and send. 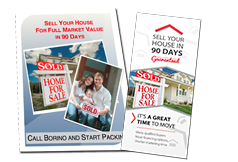 Also included are eight market update mailers, and a source for a complete set of postcards customized for you and printed by a professional company. The entire mailing campaign is designed to keep your name constantly in front of the sellers so they remember you and call you when they're ready to list. 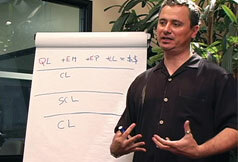 You will learn advanced communication techniques -- not as traditional "selling", but based on science. Latest psycho-linguistic research, NLP (neuro linguistic programming), and hypnotic patterns. You will feel at ease and in CONTROL - having a CONVERSATION with the sellers. You will know how to build TRUST and connection through pleasant, natural dialogs where you always know what to say. 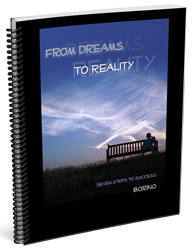 Follow a simple seven-step formula that produces results FAST! This guide is written specifically for you to reach your real estate and income goals - right now! Once you come on board, you will get a private ONE-ON-ONE coaching session. With me personally. You and I will get on the phone and I will walk you through the system, help you set it up, and answer all your questions. You will have instant access to a set of short videos. You will see in detail how to set the system up so you can start converting expireds into leads and listings quickly. Your brochure, the expired package and your resume are two of the most important marketing weapons against your competition. After you personalize it I will review it for you. Yes Borino! 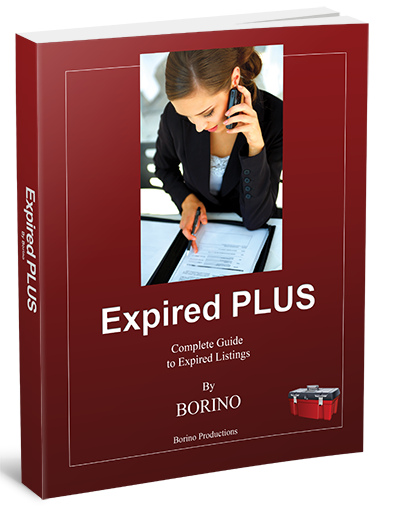 Ship me the Expired Plus package so I can have plenty of leads, listings, and motivated clients I can help. I want to enjoy my work and have a profitable, predictable business. I know I'll finally get the peace of mind, respect, and freedom I’ve always wanted. My guarantee to you: Either the Expired PLUS works for you or your money back. That's how confident I am in my system (and in you!). Give it a try for the next 60 days. 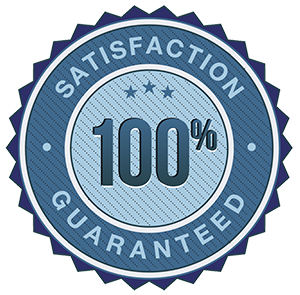 If you're not getting more leads and listings, simply let us know and we will happily refund your entire purchase. No questions. No hassle.